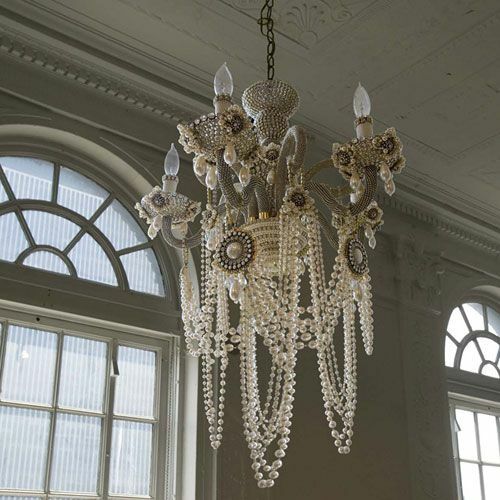 Glam Rock Chandelier by Erickson Beamon, available at Vivre, $32,500.00. 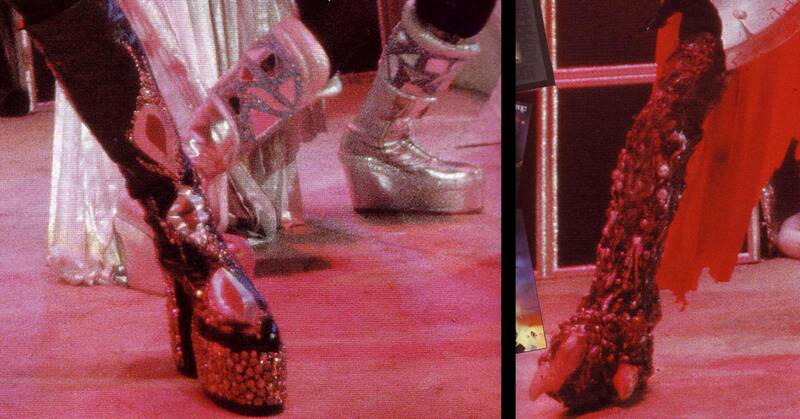 Alternately, these old school platforms from KISS are also an option. 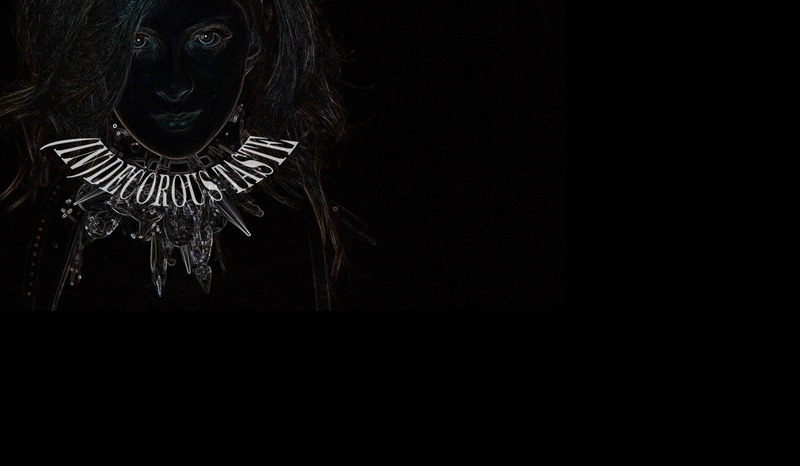 They look suspiciously like the Erickson Beamon chandelier, no? Scan from Encyclopedia of Heavy Metal. Quality reading material, for sure.